2-in-1 products can make everyday tasks simpler and prevent you from doubling up on products. 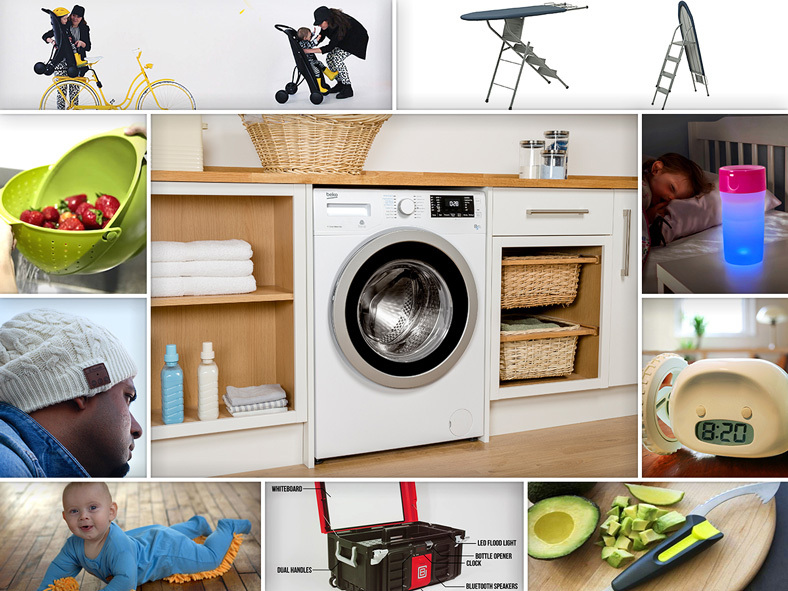 The dual-purpose nature of our washer-dryer got us thinking… what are some of the best 2-in-1 inventions ever invented and how have they made life easier for those who use them? Cycling with your child is an enriching and physically rewarding experience that does not have to stop when you reach your destination. 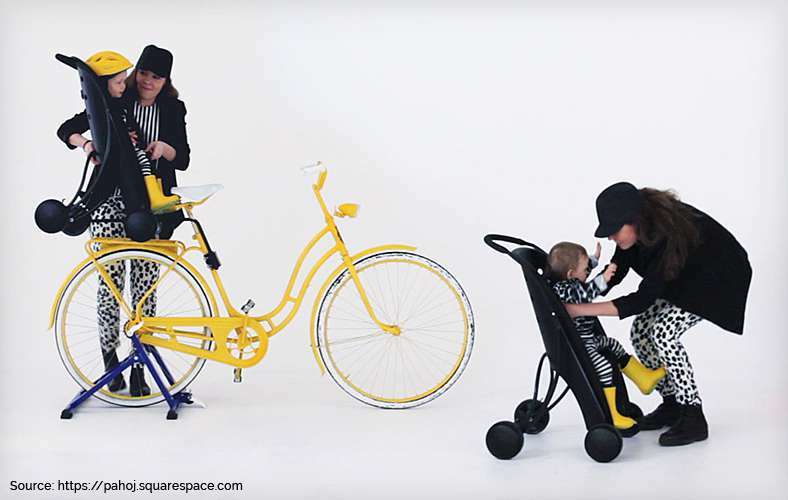 A childs bike seat combined with stroller features means that your journey can continue once you’ve cycled to your end point– and there will always be peace of mind that your loved one will be safely secured and at arm’s length. This product, currently in protocol testing is the height of practicality and physicality – so it might not be long until you can take your little ones with you on your bike ride and beyond. The majority of people love a hearty meal, but preparing the dish is not necessarily a favourite pastime. Straining and sieving vegetables can get a bit tricky when bulky strainers are involved. 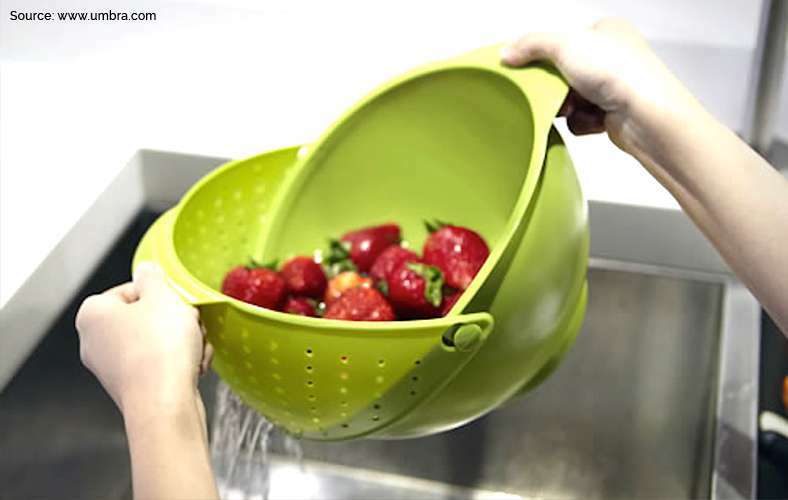 By combining two popular and often-used kitchen products, a bowl with integrated strainer makes washing and rinsing vegetables easy. This practical 2-in-1 makes washing/straining more manageable and also saves space that having two separate products would have taken up – win/win! This adorable yet comfortable onesie comes with specially designed ‘mop heads’ fixed to the arms and legs, enabling babies to polish the floor as they learn to crawl. In sizes from 3 to 12 months, this 100% cotton, innovative garment is both super soft and comfortable. 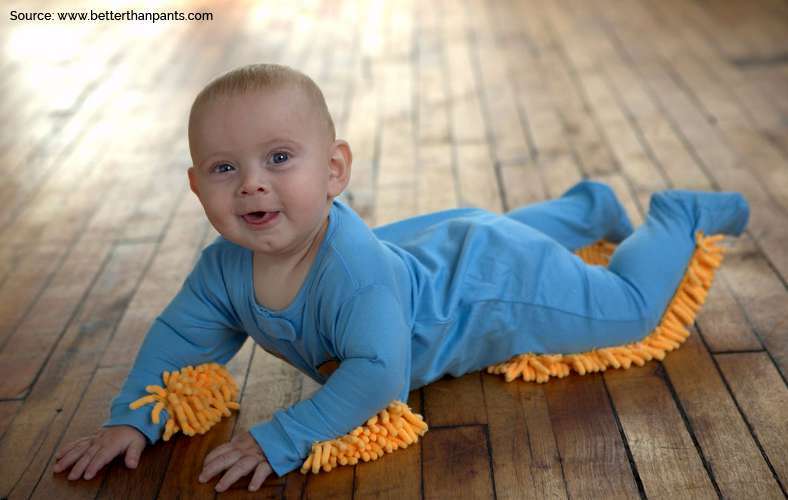 It’s only a matter of time before a vacuum cleaner that doubles up as a baby pram is invented. When thirst bites, day or night, waking up in the middle of the night and stumbling around is a problem for children and adults alike. 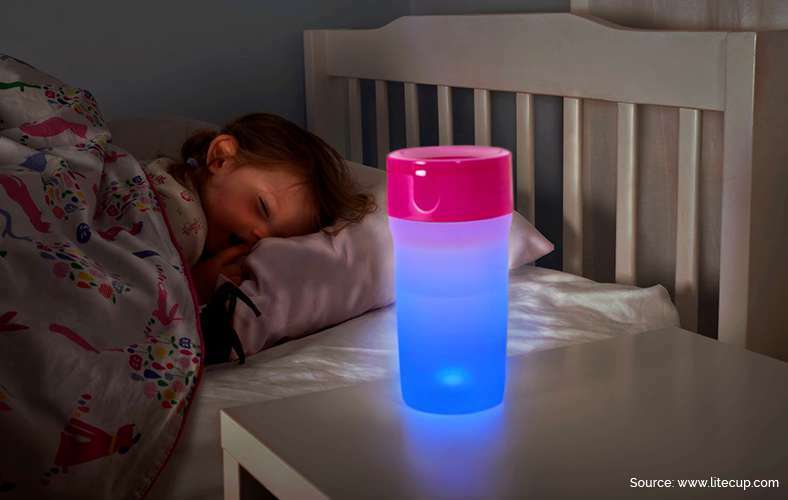 Combining a cup and nightlight, this no-spill lid gadget cleverly switches itself off when it’s light and on when it’s dark, so it can prevent spillages and be battery-efficient at the same time. This convenient dishwasher friendly cup is also ideal for night-owl workers and laptop users, and could even make a handy camping addition. 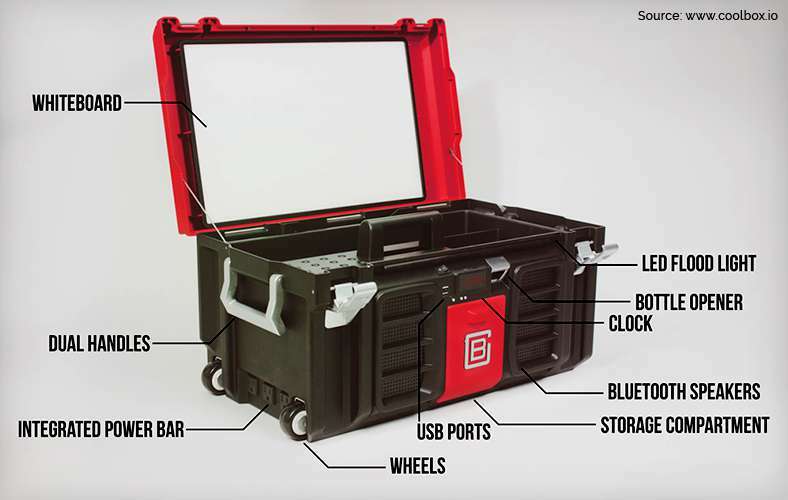 ‘Tools have changed, why not the toolbox?’ This toolbox takes care of its contents by offering an effective storage and charging solution for tools. With extra USB ports, this box allows phone/mp3 player charging – so you can always whistle/listen while you work. It combines another household favourite, the whiteboard – perfect for to-do lists/important notes – so thanks to this handy addition, one thing that won’t be on there is ‘remember to charge phone’! 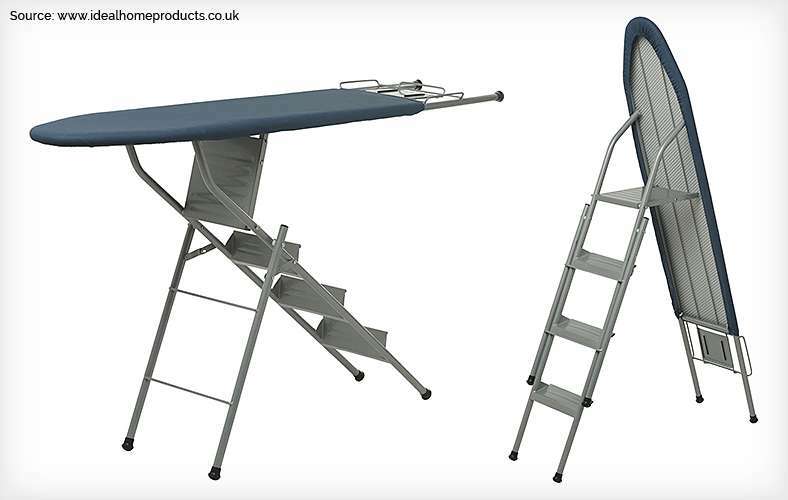 Similar to a washer-dryer, this Ironing board/stepladder saves on space and provides ease of access for its user. Easy to stow away and store, this item can be easily placed on the wall and is easy to use and switch between the functions. The weight on the back of the ironing board from the folded step ladder makes it sturdy too, so it is both robust and space-friendly. You will never have to choose between warmth and music again. 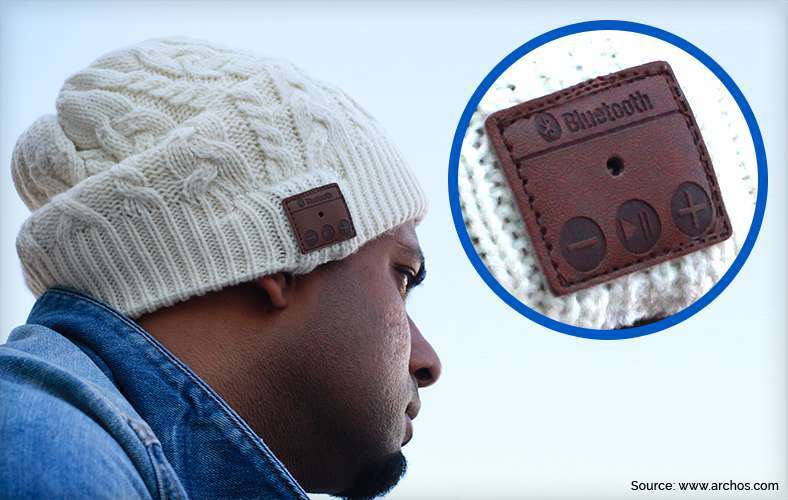 A hat with built-in headphones is every music lover’s dream, and even comes with Bluetooth, so phone calls can too be made; keeping ears AND hands warm! This stylish, practical, well-fitting hat is discreet and can even be washed in a washing machine after removing the earphones – perfect for snow lovers and those who live in places with temperamental weather conditions. 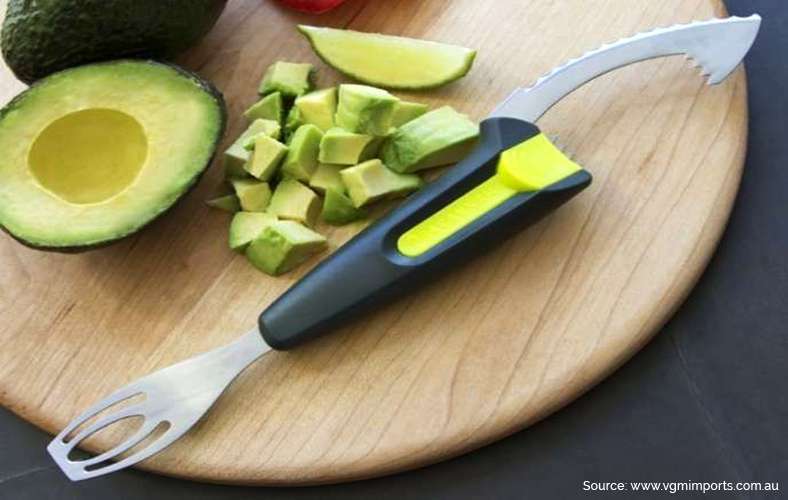 Guacamole lovers everywhere will all have their own recipes and methods of preparation but this nifty tool is designed with one purpose in mind: cut, de-pit, slice, scoop, and mash avocadoes… all in one appliance. This tool is not just a 2-in1, it’s a 5-in-1, cutting preparation time and increasing eating time! Relied upon by households everywhere, a washer dryer may not be as cute as a baby mop outfit, but it does rule the roost when it comes to practicality. 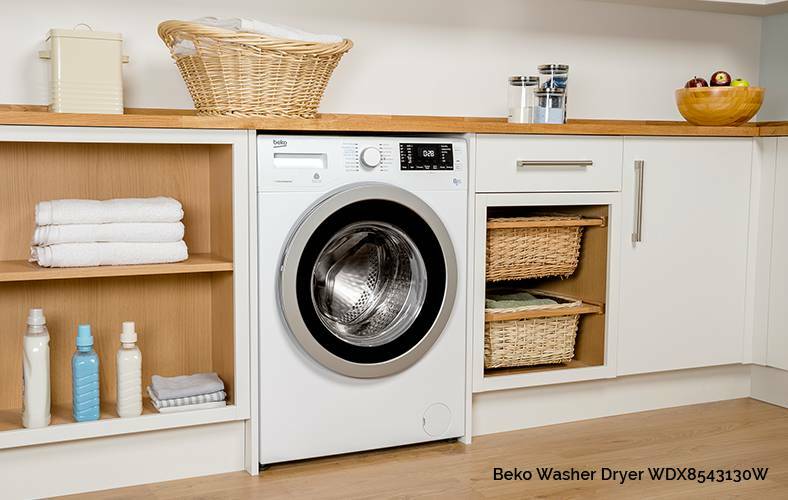 Combining two essential appliances, the washer dryer has been a space-efficient laundry solution for many – so everybody can have clean and dry clothes, regardless of the size of their home. Whilst this love-or-hate household regular may not be a new invention (alarm clocks have been waking their owners since 1787!) we could not round up our list without mentioning it. 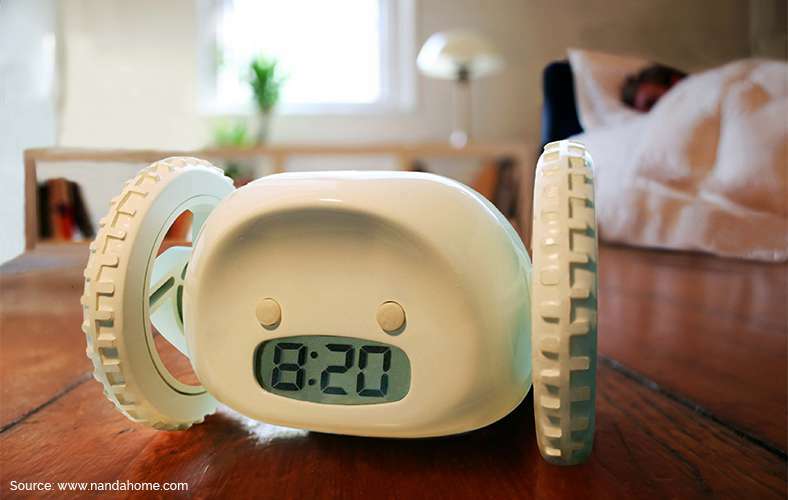 Manufacturers have been able to perfect this essential 2-in-1 over the centuries, but there is a new clock on the block invented which wheels away and hides from you so you have to physically chase it… If that is not the ultimate way to guarantee that you get out of bed and stay there, then we don’t know what is.